At last, we’ve reached the final download! From everyone at NECA, thanks for celebrating with us – we hope you’ve enjoyed all the goodies. If you missed any of the previous days, check out the complete list of links below. 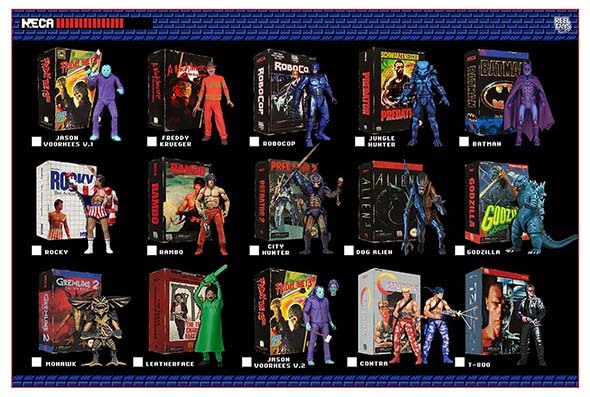 We’ve created the very first visual guide for our line of classic video game tribute action figures! It’s available as an extra-large, 300 dpi JPG. Download link appears below the image.